What if I told you that you can combine all the best parts of a barbecue into one simple dish? Yes, it's true! 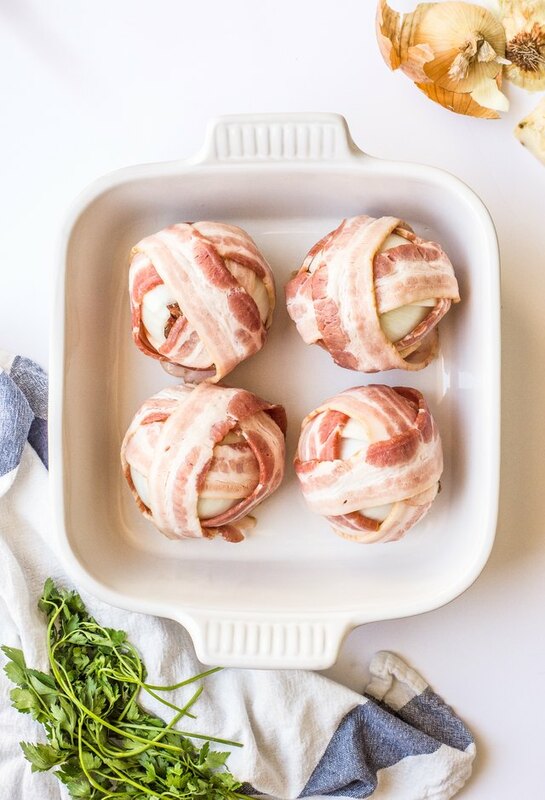 Say hello to cheesy barbecue bacon meatballs! 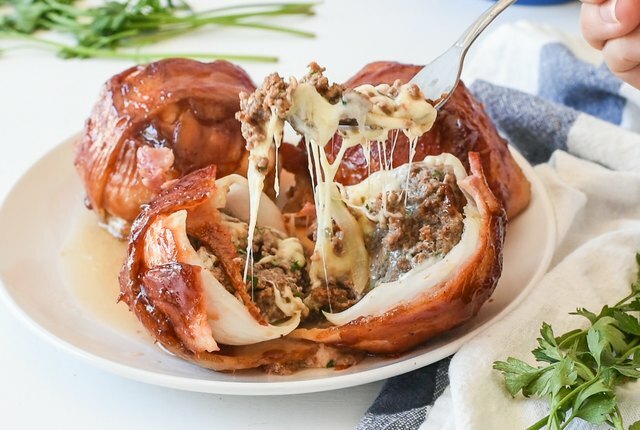 The center is stuffed full of gooey cheese, wrapped in beef, placed inside an onion and snuggly wrapped in bacon topped with mouthwatering barbecue sauce. My mouth is salivating, too. Hashtag nom! Cut off ends of both onions and peel off skin. 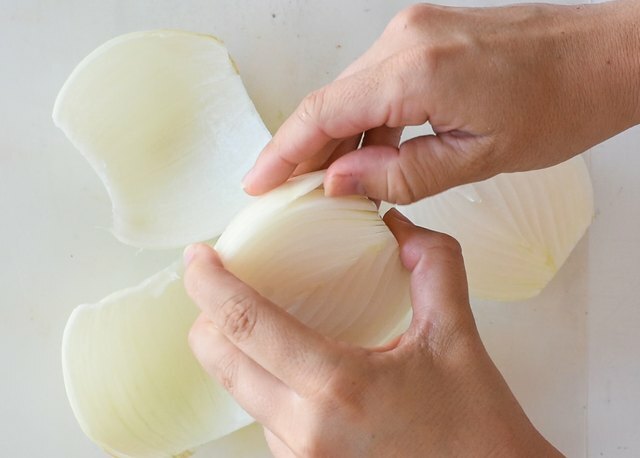 Cut in half lengthwise and peel off top two layers of each onion, for a total of four onion shells. Preheat oven to 425°F. Mix together garlic, spices, and parsley into the ground beef. Place a small amount of beef on a clean working surface, and place a large cube of cheese into the middle. Cover with another sheet of beef, and form into a ball, large enough to fit inside an onion shell. Place in the onion shell, and wrap with three slices of bacon. Use toothpicks to secure bacon onto the onion so everything holds together. Bacon should be wrapped horizontally, vertically and diagonally over the onion ball. Place onion meatballs in a baking dish and bake on 425°F for 30 minutes. Remove from oven, coat with barbecue sauce, and bake for another 10 minutes. Serve while warm. Enjoy!